I work close to 65 hours a week. At one job, I used to run and have completed 3 half marathons. I've picked up weight and I need a training plan that I can balance losing the weight, getting good run time in, and of course work 65 hours a week. Help? Thanks for your question about combining your long work hours with running. I think it is a very good idea that you want to try to fit some exercise into your schedule. 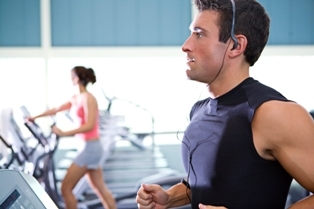 There is plenty of research available that has proven the benefits of exercise. Just check out my benefits of running page to see some. 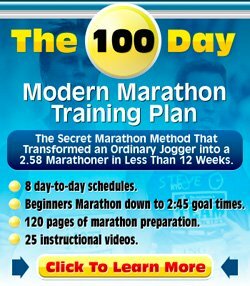 You have done the running in the past, so I am not sure if the beginner running programs are your best port of call. As someone getting back into running it would be good if you'd use some kind of run/walk program to begin with though. You will want to make sure you re-start your running career safely! Can I just say one thing though: who says that you need to work 65 hours per week? It seems like an awful lot. There are so many studies that show that people can't be productive for such a long time. But for you, your health is suffering at the moment. There is no time for exercise and you have started to gain weight. There is no balance in your life when you are working 65 hours per week. Start by bringing it down to 60, still an awful lot. Then use the extra time you have just given yourself for some exercise and some extra sleep. You might find that you are more productive in the remaining 60 work hours because of your exercise and extra sleep! I am sorry if this sounds terribly simple and can't be applied to your circumstances. I work in a big corporate at a reasonable level. I see people that work 60+ hours at my level. They feel they have to. Yet, I see people that work way less hours, myself included. In normal times I do a little overtime here and there, and when it is peak time I do a lot more. During peak times my exercise suffers. But I know it happens four-five times a year, max. And never for more than 2-3 weeks at a time. So, I can work around it. I can't imagine what it is like to work 65 hours per week, every week. It just seems way too much. In order to get fitter I would recommend running/exercising at least three times per week. The more you're able to build up your running the better it is for fitness of course. I'd like to see you build this up to a solid 30-45 minutes of running three times per week and more if you want to. 30-45 minutes of running three times per week provides a good base for fitness and will also so have a good effect on the calories you burn. When running for weight loss, you will also want to consider your diet. Without a proper diet your running will not have that much effect. Logging your food intake for a while via a website like myfitnesspal.com helps. It will make you really conscious about what you eat and the calorie-load attached. When you can keep to their recommended calorie-intake you are bound to lose weight. Calorie-restriction is very tough and people usually have a lot of trouble keeping disciplined. So do make sure you fit that exercise into your day. The more you exercise, the more you will basically be able to eat whilst still losing weight. I hope you can fit running back into your life. It would be great if you could do another half marathon!